Rolex watches have always been on the top of the list for many successful men. It is a true symbol of success and accomplishment. While many people love these watches here are 10 things that you may have not known about this internationally acclaimed company. Rolex had always provided excellent craftsmanship and advanced technology with their watches. However, they did not start receiving top dollar for them until the eighties. The market demanded flashy items to show wealthy. Rolex increased production, but also increased the price. In 1981 the average Rolex cost about $900. By 1991 this price had increased to $2350. 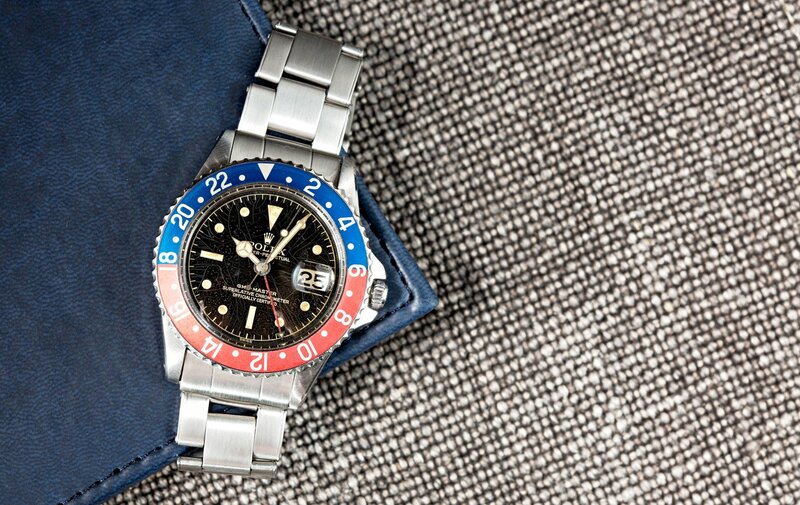 The vintage Rolex market boomed with higher demand for older and rarer watches. 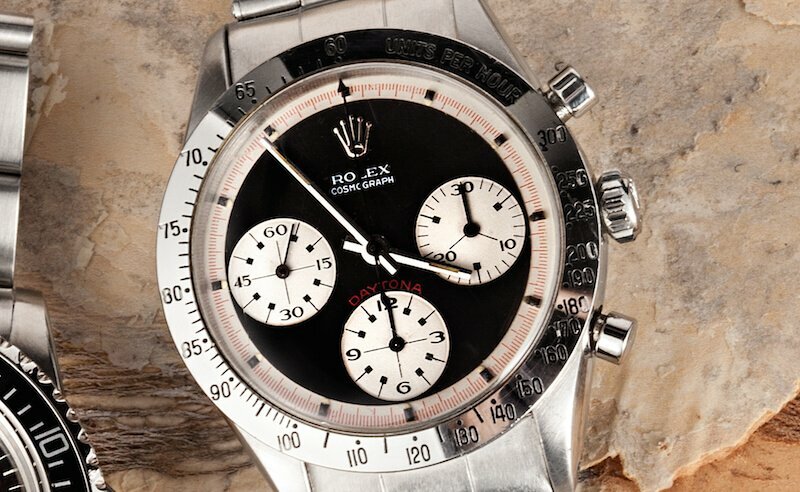 An extremely rare Rolex set the price record as the most expensive Rolex watch ever sold. The 1942 stainless steel chronograph Rolex was sold for $1.176 million at Christie’s Important Watches sale in Geneva. The sale price has yet to be exceeded. 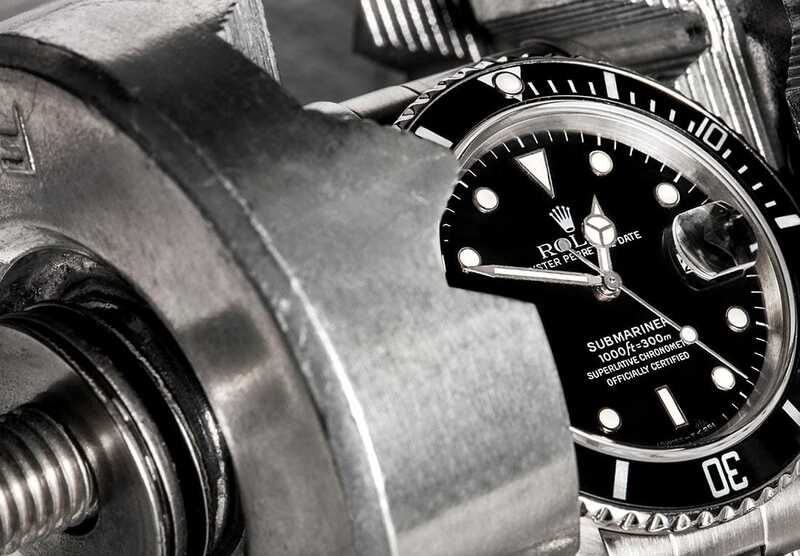 Rolex’s reputation for high quality and expert craftsmanship has not been better tested than at the top of the world and the bottom of the ocean. Sir Edmund Hillary reached the top of Mount Everest in 1953, wearing a specially made Rolex watch. The watch performed flawlessly. 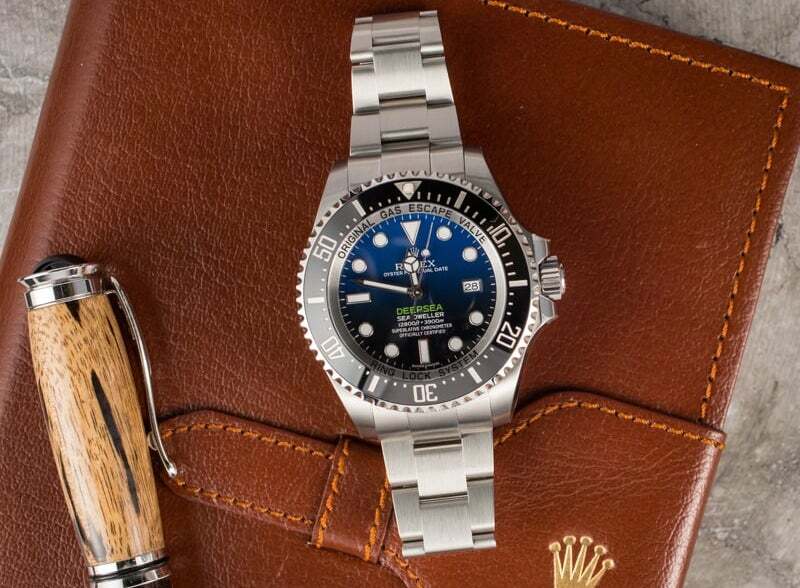 The U.S. Navy also tested nature by sending a specially designed research submarine 35,798 feet below sea level, wearing a specially designed Rolex watch. It also perfectly endured the extreme environment. Rolex takes advantage of the best materials when constructing their timepieces. Many of these materials, including stainless steel and precious metals, are made in-house. These high quality material ensure that Rolex watches offer better resistance to water, pressure, and shocks. After being assembled by hand, every Rolex watch is pressure tested to ensure there are no air leaks or problems with the case or crystal. These watches are certified to withstand water pressure up to 300 meters (1000 feet). Rolex watches are made by hand. Though demand and technology has changed, Rolex still makes every watch carefully by hand. Some machines are used, but the bulk of construction and piecing together is still done by hand. Rolex watches are so well made it is usually easy to tell if a watch is fake. If the second hand gracefully sweeps the dial it is probably a real Rolex. A fake “Rolex” second hand will tick. This GMT served the Gray family and their military family for generations. Because of their reliability and endurance, many pilots in the British Royal Air Force used Rolex watches during World War II. Seeing the value, these watches were often taken by Nazi soldiers. Rolex, in return, offered replacements to prisoners of war based only on their word, causing Rolex to become a symbol of POWs. 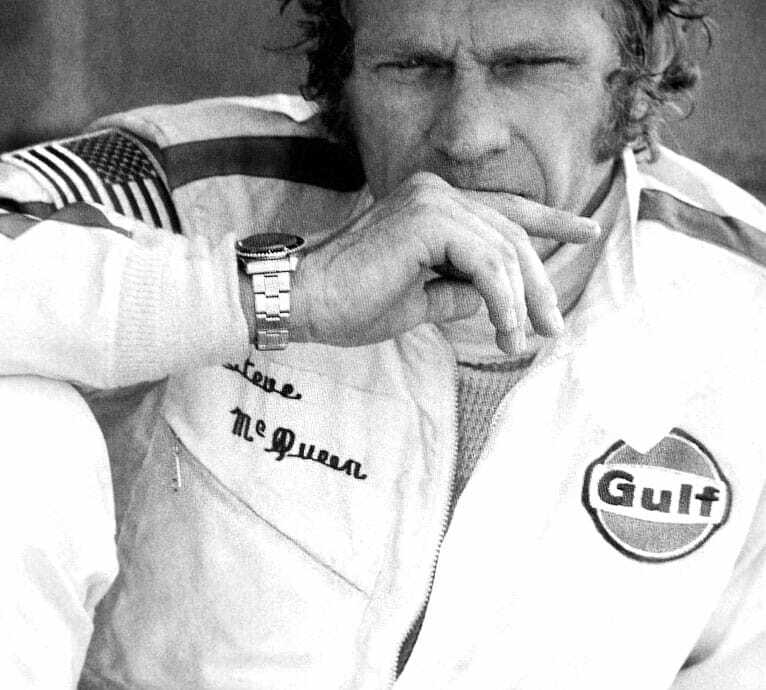 Steve McQueen wears a Rolex. A Rolex Oyster 3525 was used to escape the Nazi prison camp in the “Great Escape.” The famous story led to the making of the film The Great Escape, starring Steve McQueen. He famously wore a Rolex, as did other famous figures like Winston Churchill and President Eisenhower. Even fictional characters, like Secret Agent James Bond, sport a reliable and useful Rolex. Rolex has an interesting origin and beginning, but they have moved to Switzerland. 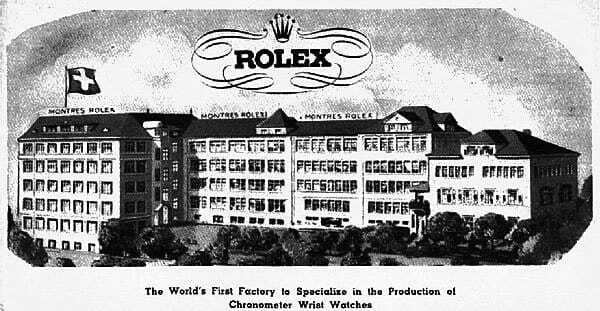 Opening in 1905 in London, Rolex was more of a watch assembler than a watch maker, using imported Swiss watch parts and English watch cases. The company eventually moved to Switzerland as British taxes were high and Switzerland had the majority of skilled watch makers in the world.